Time to flood your Instagram with hashtags like #VacationGoals and #Blessed when you stay in this hotel. Picture this: Lying under the cool shade of swaying palm trees, you feel a gentle sea breeze caress your face, playfully messing up your hair. With one hand, you try to smooth your hair over to a side, or tuck strands behind your ear in a hopeless effort to keep your hair tidy. With the other, you cradle your piña colada, adorned with a bright red paper umbrella. Sipping on your cocktail, you watch the lazy waves roll up and break into froth on the sandy shore. Ahhh~ the island life. We all dream of it, we crave for it. After all, what could be better than doing absolutely nothing and soaking in the sun, sand and sea? And that, my friends, is the reason why you have to head for an island escapade at the tropical paradise of BALI. 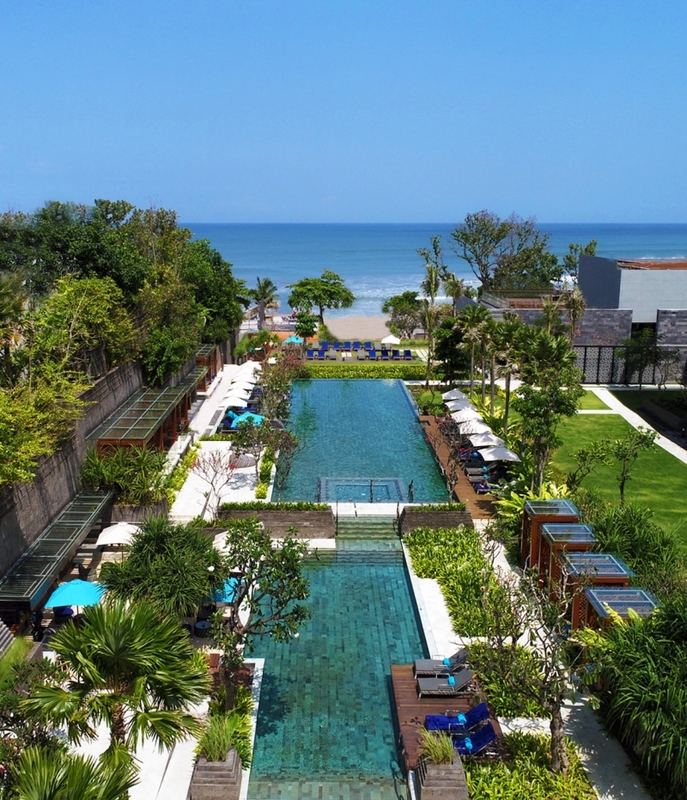 If you’re planning a trip to this lush, idyllic island paradise and can’t decide on a place to stay, check out the newest kid on the block – Hotel Indigo Bali Seminyak Beach! Boasting eclectic furnishings and a slew of guest room and dining options, facilities and amenities as well as top-notch customer service, here is why this beachfront resort will ultimately fulfill all your needs and wants for the best island vacation ever. Can you say #VacationGoals? 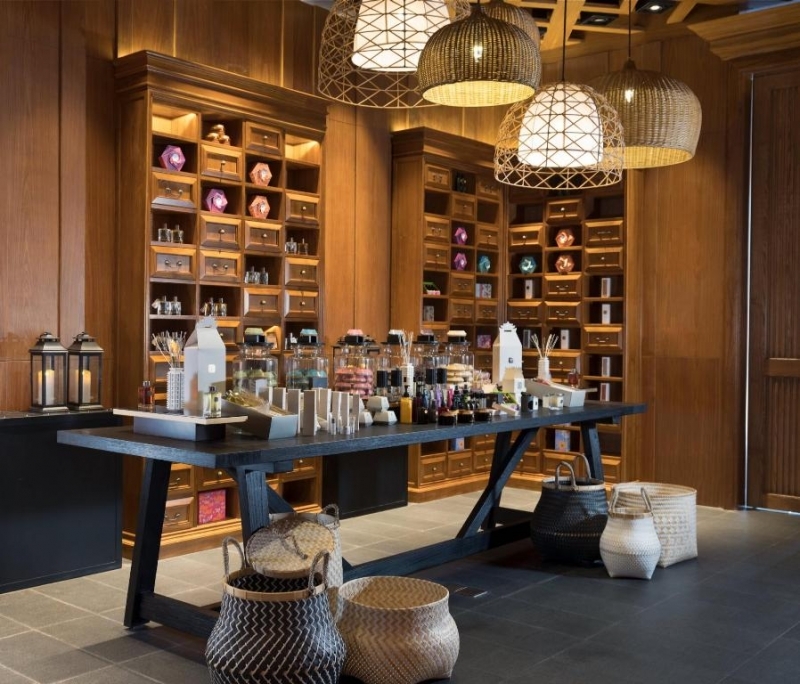 From the moment you step in, Hotel Indigo Bali Seminyak Beach welcomes you to its cozy yet chic lobby, all decked in wood-panelled flooring and furnished with sleek, contemporary chairs and tables. 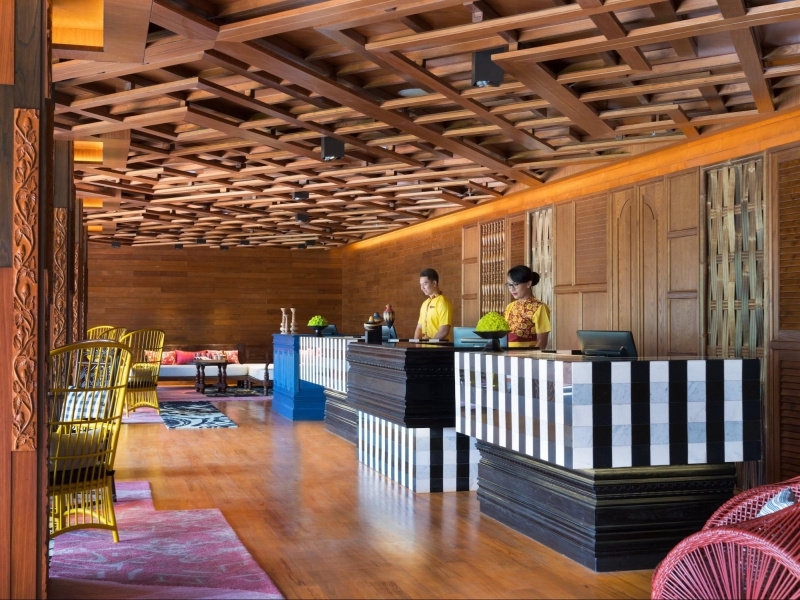 The lobby’s intricate geometrical patterns are inspired by Balinese traditional Songket weaving textiles, and the hanging lamps are inspired by the traditional Balinese umbrellas as well as the Bubu , a traditional fisherman’s bag. This stylish lobby is only the beginning! Exuding chill and laidback vibes, you can sit back and relax before checking in, knowing that this is only just the tip of the iceberg. You will find that the design of the entire resort, although modern, does not sway from traditional influences and touches that add Balinese charm throughout the resort. From artistic statues and ornaments to intricately designed and elaborately carved wooden walls, doors or panels, you’ll be clearly impressed with the delicate touches of Balinese influence. Expect nothing but clean and modern spaces that will definitely make you feel like you’re on a getaway – this place definitely sets the mood right! 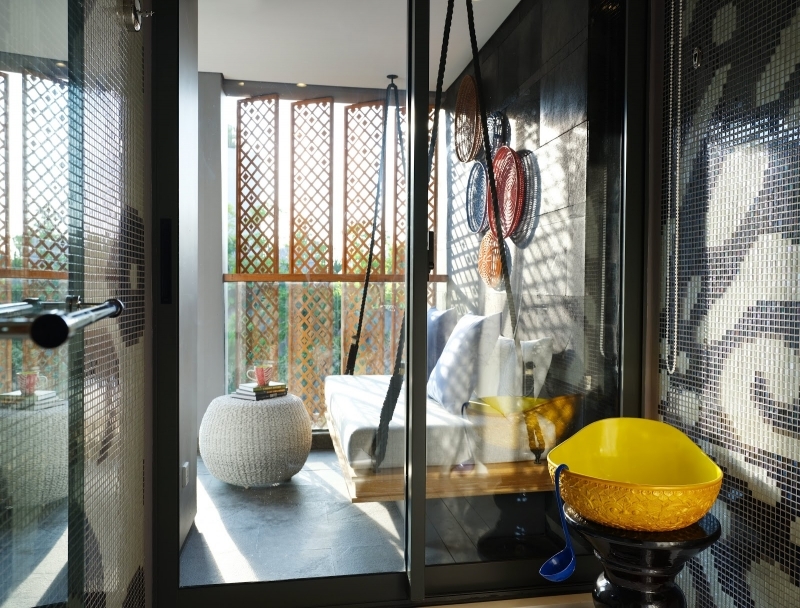 One of the best things about Hotel Indigo Bali Seminyak Beach is the plethora of guest room options that they offer. Guests can choose a room type that best suits their needs and desires, customizing the experience even further. Those who want something opulent and plush can go for one of the gorgeous rooms or suites. 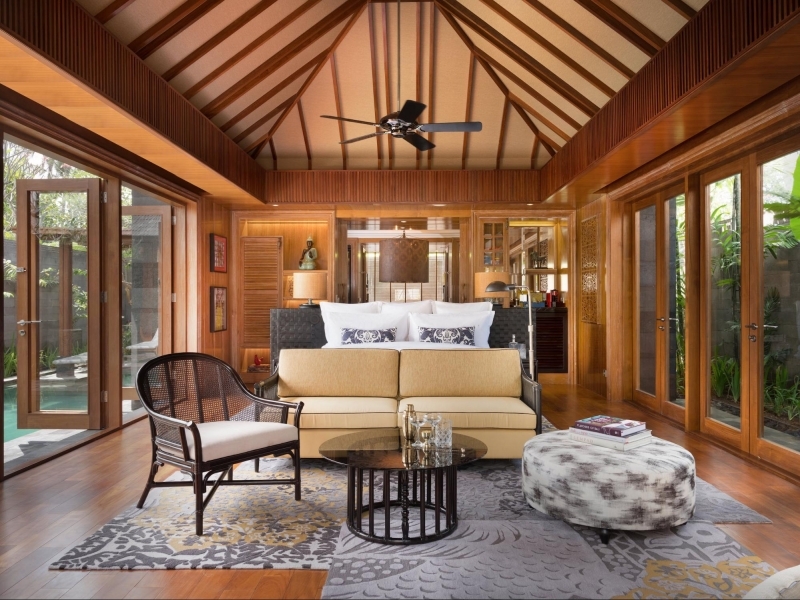 For those who want to take the tropical vibes up a notch, there are private pool villas to luxuriate in, too! With so many options to choose from, you’ll definitely be spoilt for choice! Hotel Indigo Bali’s guest rooms are all comfortable and cozy yet spacious at the same time. Choose from Classic, Oasis, Neighbourhood, Sea Breeze and Patio rooms – each promising a unique vacation experience. To start, Classic and Neighbourhood rooms pamper guests with a private balcony and daybed along with a spa-inspired bathroom. Oasis rooms give guests the pool and garden view while the Patio rooms are on the ground level just steps away from the pool. For those who are inclined to the call of the sea, the Sea Breeze rooms are perfect as they give you a perfect panorama of the Indian Ocean. 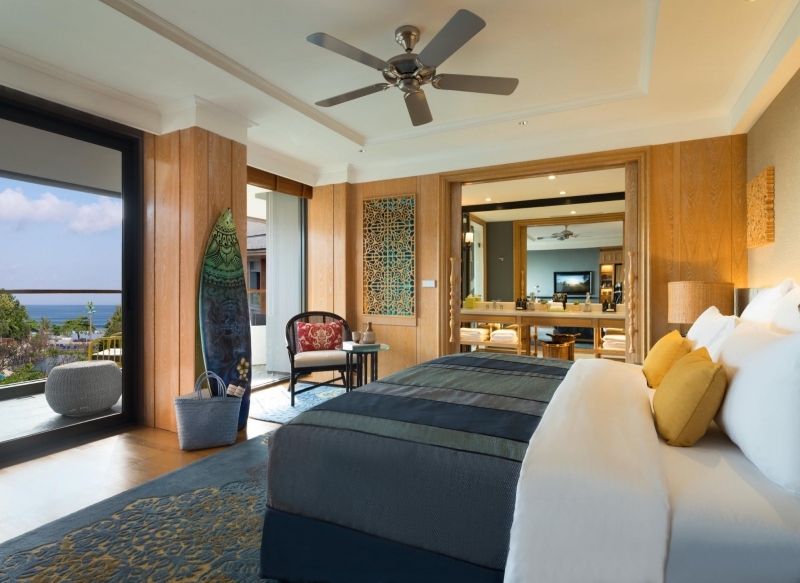 Apart from the gorgeous seaview, let the sound of the ocean waves lull you to sleep. There are different goodies for each type of room as well, all thoughtfully included for your enjoyment! Ranging from special neighbourhood gifts to spa welcome kits, all these rooms will truly impress you like no other. 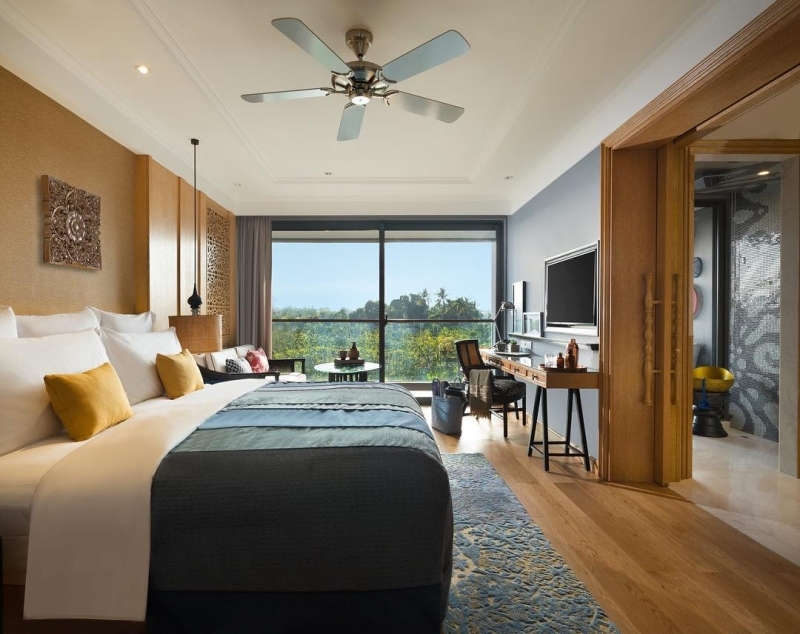 The suites at Hotel Indigo Bali involves massive, yet elaborately furnished and lavish spaces with ample daylight – perfect for travellers who would like to treat themselves on their vacation. 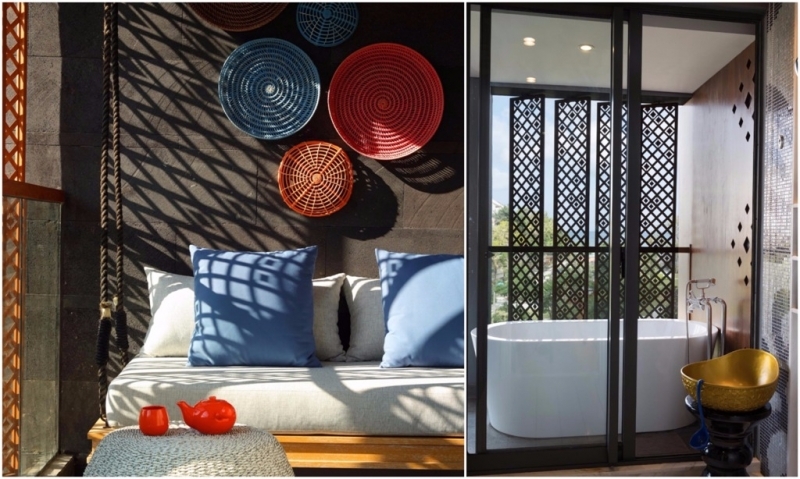 With sitting and living areas as well as spa-inspired bathrooms equipped with a rain-shower or an outdoor bathtub, these suites will definitely take your holiday experience up to a whole new level. Take your pick from the Perada, Tirta or Sagar Suites which include a multitude of other deluxe treats such as complimentary resort activities and in-room movies as well as welcome drinks, fruit platters and spa and pool kits too! For a truly unforgettable vacation experience complete with lazy tropical vibes, Hotel Indigo Bali also offers private Pool Villas with the option of one or two bedrooms! These majestic villas are simply perfect for couples, families or a group of friends. Bask in your own private slice of paradise complete with bespoke butler service, unlimited pay-per-view movies, complimentary spa treatments and resort activities to boot! Imagine having a midnight dip in your private pool and just soaking up the peace and tranquility, lying down by the deck to stargaze with your loved one. Or picture having your favourite book splayed clumsily across your lap as you lounge by the pool, indulging in a delicious brunch brought to your doorstep as soon as you wake up. #VacationGoals indeed! No matter what type of accommodation you pick, know that you will definitely be in for a treat! For more information about the different types of rooms and villas, click here. 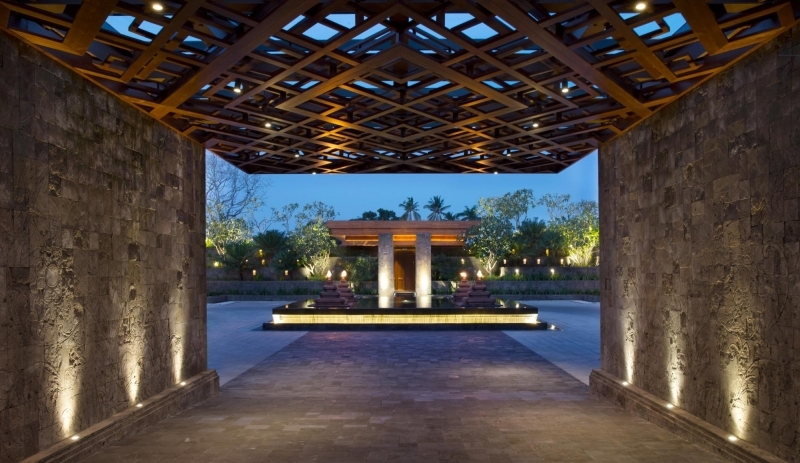 What’s a resort hotel without splendid facilities and amenities? 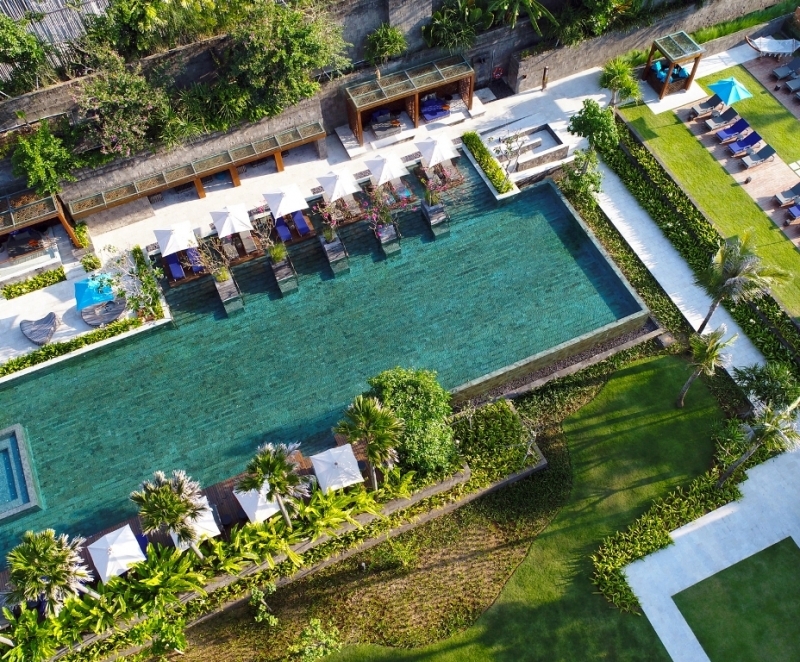 Well, guests will certainly be pleased to know that Hotel Indigo Bali Seminyak Beach has a brilliant and expansive Main Pool for guests to frolic in and have a splashing good time. There’s also another pool at their beach club, SugarSand, which is set to open later this year, so keep your eyes peeled for it! The Secret Garden pool has no less than FOUR jacuzzis for a bubbling experience! Watch all your worries melt away as you soak blissfully in the jacuzzis. There is also a Cave Pool Lounge for those who are hungry after a swim, or would just like to have a drink by the pool. Offering a delectable variety of tipples, pick your poison and why not have a snack too while you’re at it? Indulge in rejuvenating and refreshing spa treatments at Hotel Indigo Bali Seminyak Beach's very own in-house spa! With the assortment of different spa treatments, guests can truly just relax and have some alone time indulging in whatever treatment they choose. Watch your worries melt away and your tired muscles revitalised with massages and masks designed for deep relaxation and natural healing, combined with traditional influences such as the use of local Balinese ingredients like herbs, rice and sea salt! With luxurious treatments like the Eastern Rose aromatic massage or Balinese boreh body mask, you will definitely emerge feeling spiritually refreshed and rejuvenated! For those who would like to get a workout, head for the hotel’s Health Club, which is open 24/7. Fully equipped with TRX suspension training equipment, cardio equipment, free weights amongst other fittings, the Health Centre fully provides guests with everything needed for a wholesome workout! 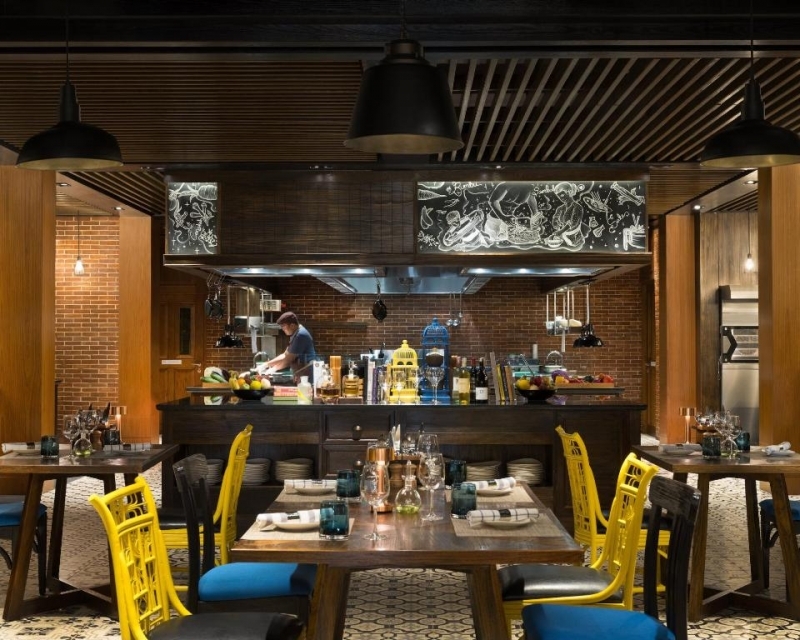 Hotel Indigo Bali also has plenty of dining options to satisfy the rumbling tummy! For a hearty lunch, go for Makase, a restaurant that whips up locally-inspired fare featuring unique twists on the local favourites. Admire the chefs cooking up a storm from their open concept kitchen, as you eagerly await the arrival of your order! To mix things up after dinner, go for drinks at The Tree Bar which serves up specially concocted cocktails from their BALIXOLOGY selection. 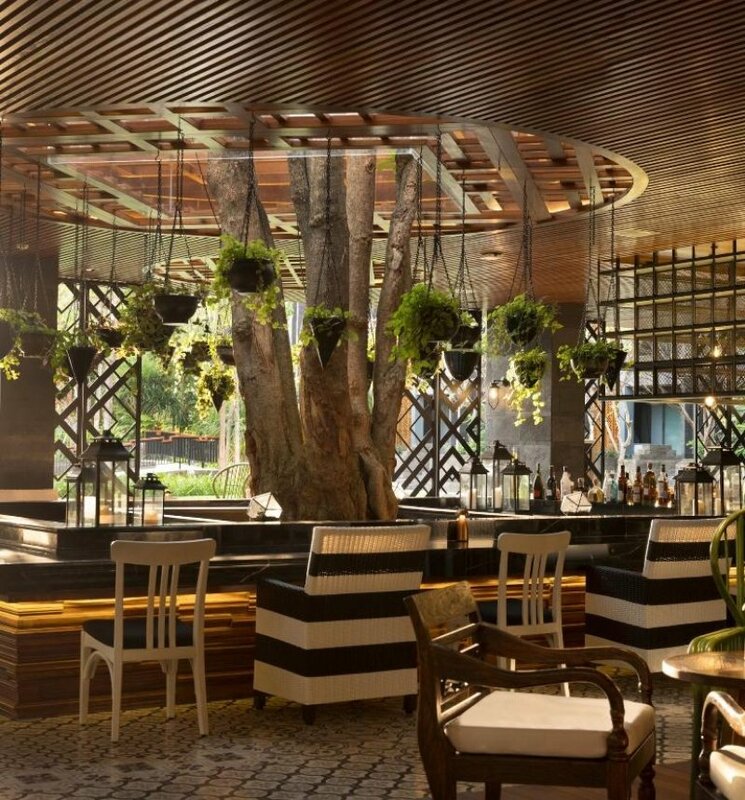 The Tree Bar also has a Slow Food dining experience which spotlights fresh herbs and produce, as well as raw and vegetarian cuisine! The Pottery Café is a sweet little nook at the ground floor of the hotel where guests can slowly savour a cuppa. Coffees and teas here are all locally sourced and beans are roasted in-house. Have a fresh brew before you start the day, or stop by for a caffeine fix in the late afternoon! If you’re feeling peckish, you can also grab an artisanal sandwich, pastry or dessert too! 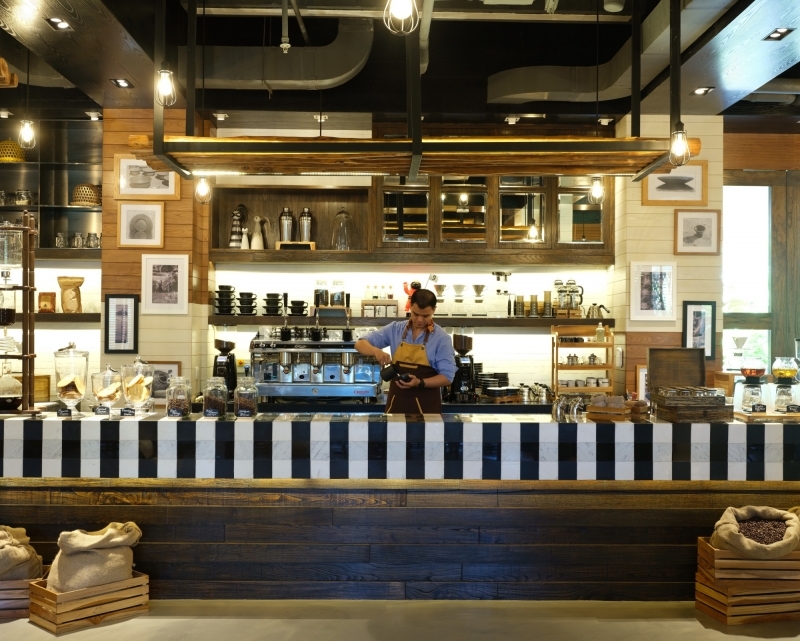 Who says you have to travel to visit cafes in Bali? There’s one right here in your hotel! Can’t get enough of Balinese cuisine? 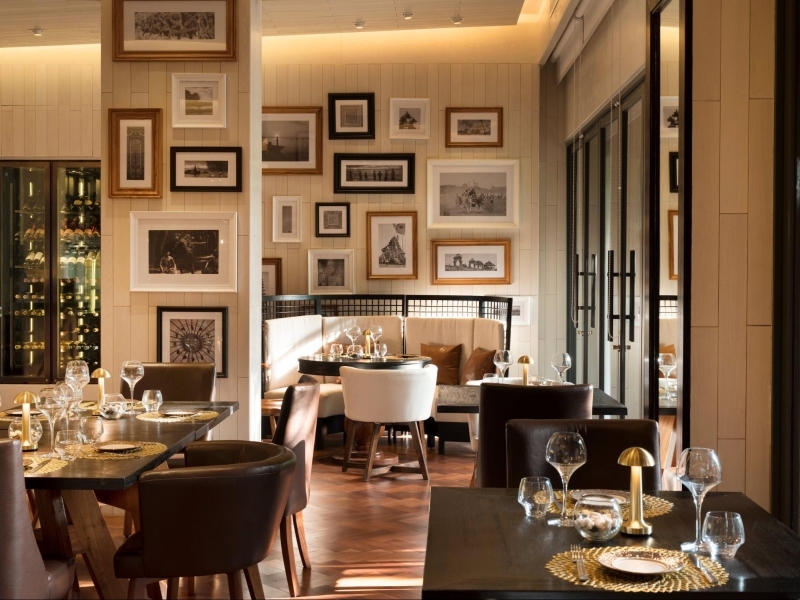 Make a beeline for Salon Bali where you’ll get to savour scrumptious delights such as babi guling, Balinese suckling pig. Expect nothing but the freshest herbs, produce and spices that are locally sourced and then lovingly prepared into a feast that will surely leave you wanting for more! You can amp up that dining experience with a glass of wine or BALIXOLOGY cocktail creation too! From spectacular rooms and stunning villas to the many other amenities and dining options, the one thing that’s essential to the perfect vacation includes how you’re treated throughout your stay. Going beyond concierge services, Hotel Indigo Bali Seminyak Beach takes customer service to a whole new level with their Home Delivery in-room catering service, for when you feel like you can’t leave the lavish comforts of your cocoon. Served up in rantang, Balinese stacked tiffins, find a piping hot Balinese feast brought right to your doorstep by one of the friendly hotel staff. You can even have them bring it over and set it up beside the pool at night for a romantic candlelight dinner with your loved one! We don’t know about you, but having meals delivered right to your room sure sounds like the royal treatment to us. The hotel also has staff dedicated to showing guests around the neighbourhood and the hotel’s surroundings. Again, going the extra mile beyond regular concierge services, these staff, known as Neighbourhood Hosts, will take you out to explore Seminyak and share local experiences, curating a tour that’s tailored to what you want to see and do! With a service like this, you can kiss goodbye to getting lost out on the streets or falling prey to tourist traps. Neighbourhood Hosts will ensure that you’ll get to experience the best of Seminyak, Bali through the eyes of a true-blue local. 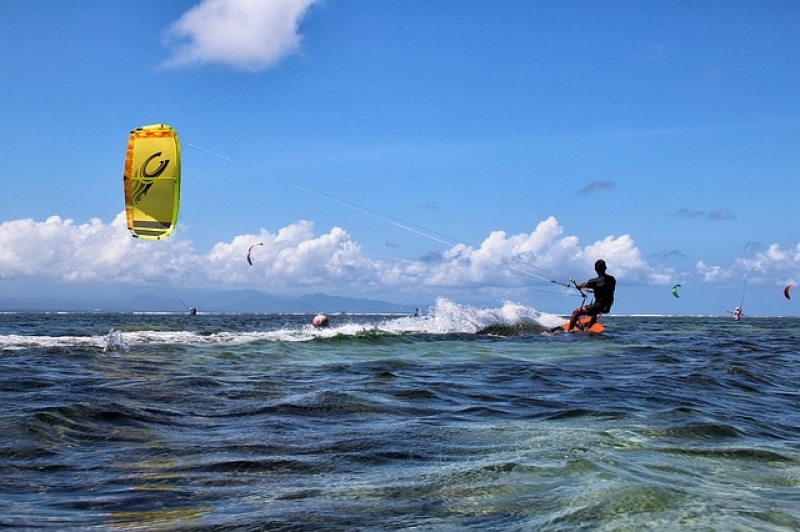 For the thrill-seeker, rush into the myriad of watersports that are available for you to try! 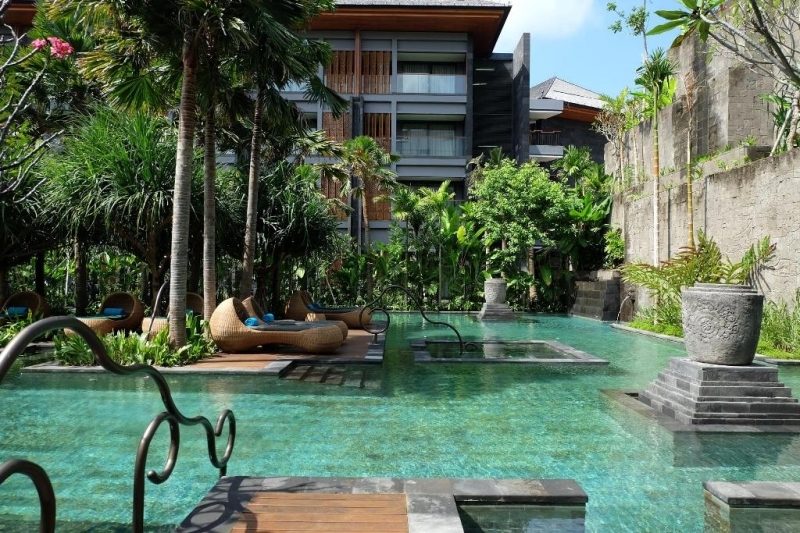 Hotel Indigo Bali is near a number of beaches, including Seminyak Beach, Petitenget Beach and Kuta Beach. Get ready for some surfing, bodyboarding, horse riding, and more! If you’d like to try out more thrilling watersports such as jet-skiing, parasailing, wakeboarding, banana boating, surfing, snorkelling and even swimming with the sharks, their Neighbourhood Hosts will gladly arrange everything for you. So, make the most out of your beach vacation by indulging in some seaside fun! Get that much-needed adrenaline rush and suntan right here. The foodies will be very pleased at the number of eateries and warungs (a small family-owned restaurant or café) which dot the area. 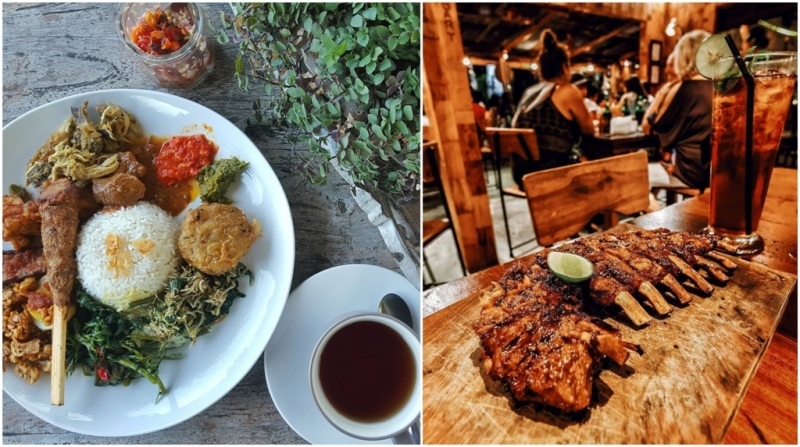 For those who are looking for something more authentic, you will easily find local cuisine such as Nasi Campur that is both cheap and fantastic at any local warung. Tuck into a huge platter of fragrant white rice, elegantly framed with side dishes and accompaniments of sweet traditional Lawar vegetables along with savory satay grilled to perfection and a Perkedel (fried potato cake). Drench everything in sambal matah (spicy shallot and lemongrass relish) and you’re good to go! Don’t miss out on Naughty Nuri’s iconic pork ribs as well, known to be the best pork ribs in Seminyak. Delightfully juicy and tender, you’ll polish them off in no time. Pining for an ice-cold treat to beat the heat? Go for one of these healthy smoothie bowls that’s packed with the goodness of fresh fruits, chia seeds, and coconut shreds. These tropical smoothie bowl delights can be easily found at most of the restaurants and cafés around the hotel! We highly recommend visiting Nalu Bowls Bali for this delicious treat! 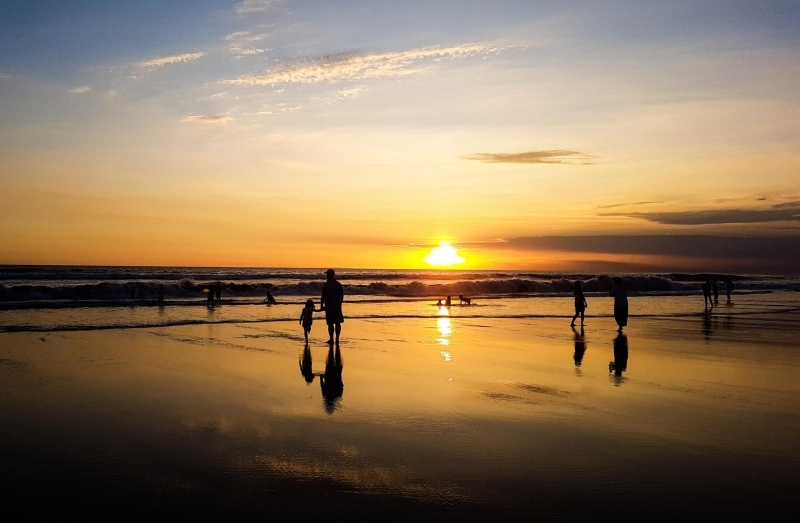 For the cultured traveller that is into history and art, Seminyak will not disappoint. Spend your afternoons wandering around the different temples and art galleries that the area has to offer. From quiet, hidden Sangah temple to the more famous Petitenget temple, marvel at beautiful Balinese architecture and receive special Balinese blessings while you’re there. 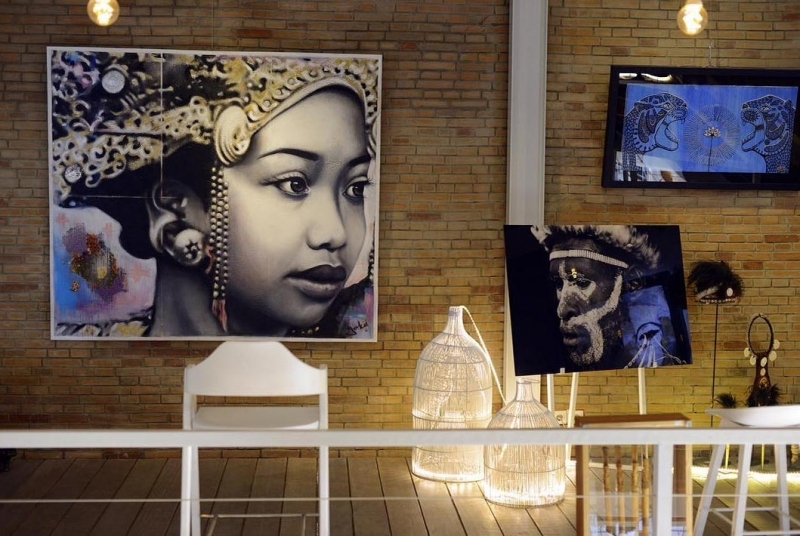 Don’t miss out Nyaman Gallery and Biasa Art Space for a galore of contemporary pieces, created by up and coming local Balinese and Indonesian artists. Bare brick walls are embellished with paintings and photographs, and you’ll find a wide range of art pieces which include installations, carvings and other decors too. There is even a corner filled with “wearable” art and other household ornament pieces which are carefully designed for living spaces. Who knows, you might find yourself getting an addition to your living room at home! And of course, how could we forget the shopaholic? Rub shoulders with the locals at Seminyak Village and Seminyak Square where you’ll be able to find everything from fruit and vegetables to crafts and locally produced items like batik and leather goods. 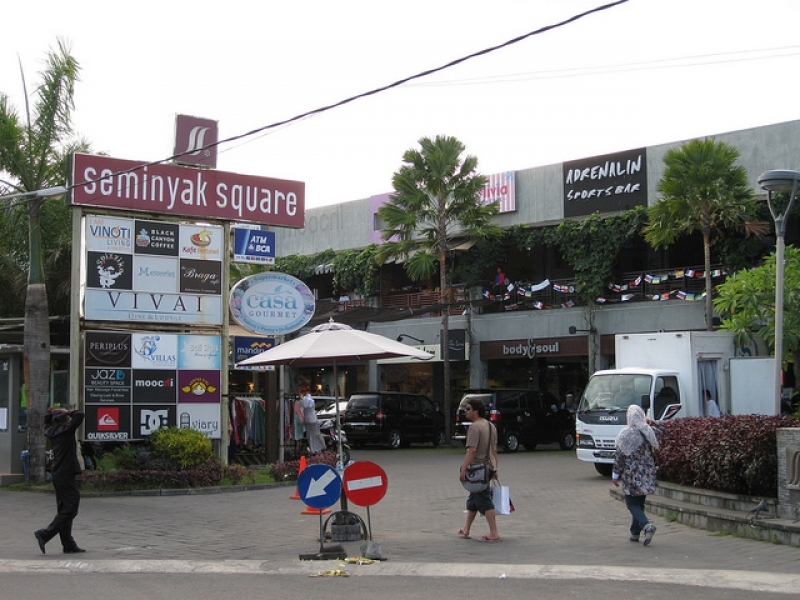 The hip Seminyak area is also known for local designer boutiques and the occasional flea markets selling unique accessories and beach dresses! 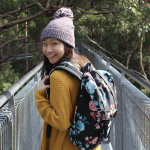 Go ahead and shop till you drop right here – you don’t have to worry about lugging your buys around, because the hotel’s just a short walk away should you need to head back and dump your shopping bags. 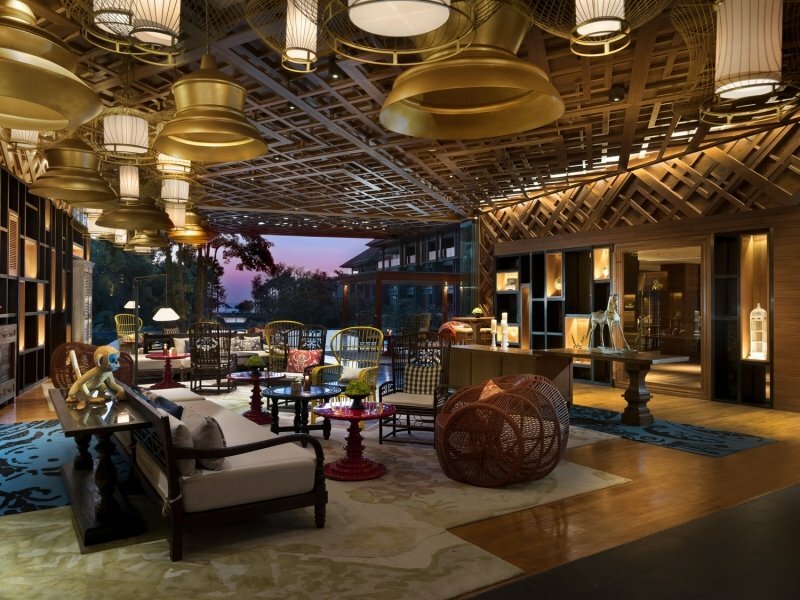 For more information on what to see and do, check out the Hotel Indigo Bali’s guide blog! In case you haven’t noticed already, we forgot to mention that everything is insta-worthy! From the perfectly gorgeous turquoise hotel pool, to the Balinese interior decor of the hotel, mesmerizing sunset views, and more – every corner makes for an ideal shot for the ‘gram. Yes, we mean everywhere. 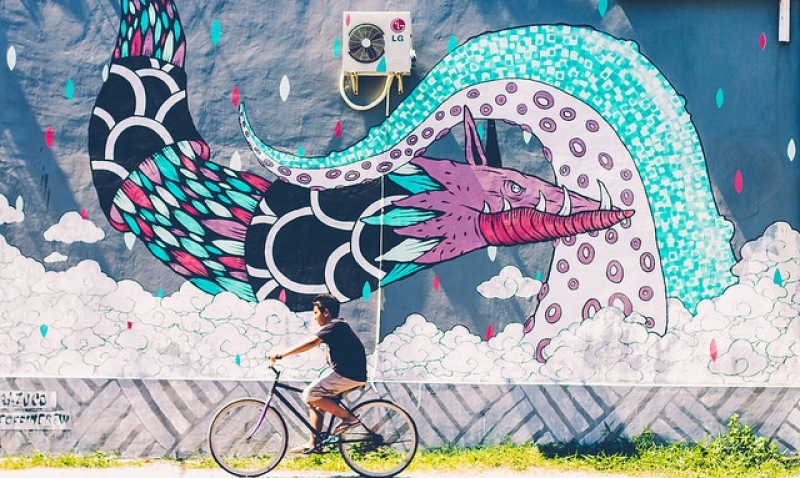 Even the surrounding neighbourhood is lined with glorious mural-painted walls and street art, courtesy of local artists. Get a stunning #ootd shot with these colourful backdrops or get creative with different poses! Don’t forget that hashtag, #VacationGoals! Fill up your grid with snaps that capture the essence of your vacation – from the tropical, laid back vibes at your hotel to the mouthwatering meals and the colourful graffiti-covered walls! For a spectacular feed that will drive all your friends into a jealous frenzy – now you know where your next vacation destination is gonna be! With cozy guest rooms and amenities, excellent customer service as well as a plethora of exciting things to do around the hotel, Hotel Indigo Bali Seminyak Beach is definitely gonna spoil you on your vacation. 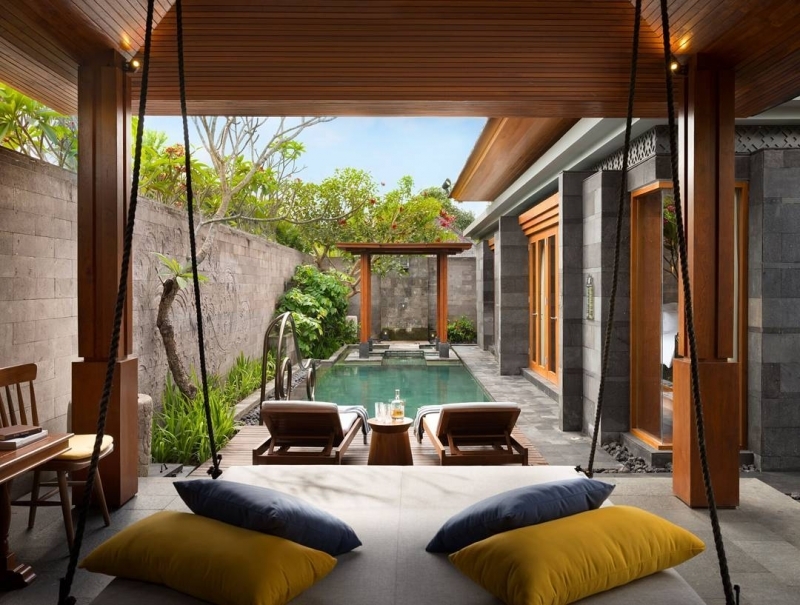 All that’s left to do, is decide on what room you’d like to stay in and your flight to Bali. Start booking now and you’re all set for a stress-free, chill vacation of a lifetime! Brought to you by Hotel Indigo Bali Seminyak Beach.